PRO Scientific Cryo Generator for homogenizing dry and cryogenically frozen samples. Fast and efficient homogenization breakdown of frozen or solid materials. 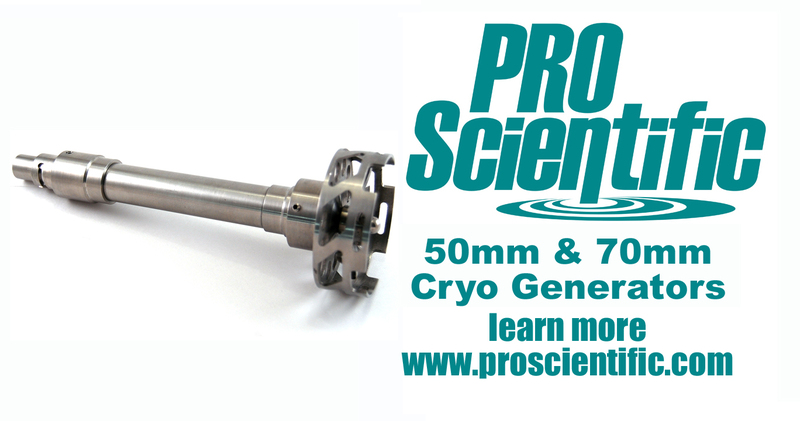 Available in either a 50mm or 70mm diameter, PRO CRYO homogenizer generators allows users to cryogenically mill soil and sediment samples and to break down frozen materials. Their unique design enables faster, more complete processing of those types of samples than possible with other homogenizing equipment. 50mm and 70mm Cryo Generators are compatible with PRO250 Homogenizer, D Series Homogenizers as well as PC Programmable Homogenizers.